From urban greenery to weekend forest escapes, connecting with nature is good for our minds and bodies. Here are just a few reasons to bring more nature into your life. Why is nature good for us? A small study of 112 young adults led by Terry Hartig of Uppsala University demonstrated that as well as decreasing feelings of anger and aggressiveness, walking in a natural environment could led to a reduction in blood pressure. 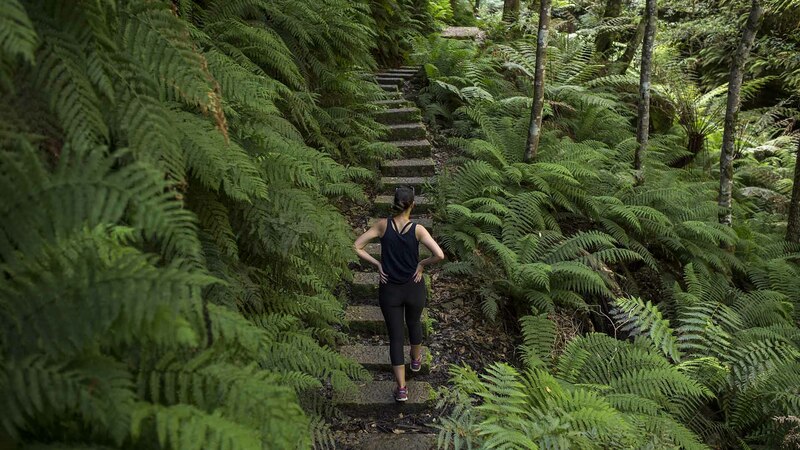 Dr Tristan Snell, lecturer in the Master of Counselling course at Monash University, says there are many studies demonstrating how our “levels of stress and capacity to focus attention” are impacted by engaging with natural environments. The ever-increasing levels of noise and pollution in Australian cities and suburbs mean there is also an ever-increasing need for green spaces that allow people to escape the constant stresses of living in such busy places. In a 2011 study from Germany’s University of Heidelberg, researchers found that people who have grown up in urban environments are more likely to experience social stress. Additionally, mood and anxiety disorders are more commonly suffered by those living in cities, as shown in a 2010 study from the Arkin Mental Health Institute Amsterdam. This may not surprise many of us residing in urban areas – sometimes the noise, the people, and the fumes can all be a bit much – but evidence now presents a strong case for making our cities more liveable in a very green way, for us and our children. A small experimental study from Norway’s Telemark University College, published in Landscape and Urban Planning, found that after playing in and exploring natural play areas, children between five and seven years of age showed improvements in their motor abilities. Some of the most significant ways that more green space can impact human health are through temperature regulation that makes cities cooler in times of extreme heat, and helping in the management of stormwater run-off. Professor Bekessy believes the creation of more urban green spaces presents an opportunity to also enhance the native biodiversity of our homes, ensuring that our cities remain uniquely Australian. “The opportunity to have biodiversity in our cities is not only good for human health, but can also be a real way of reenchanting people with nature that is local to that place,” she says. A 2010 study lead by Dr Felicia Keesing of New York’s Bard College determined that biodiversity loss can increase the rate of disease transmission amongst host species, but further research is needed to determine the causal relationships and longer impact on humans and other animals. Protecting biodiversity may therefore be an effective strategy to combat the spread of disease and keep us healthy. Bring plants into your office and home. These will enhance the aesthetic appeal of where you work and live and improve air quality. Even apartments don’t have to be nature-free, Professor Bekessy says. Indoor plants, balcony gardens, and green courtyards can make a huge difference. Exercise outside. Instead of spending time in an indoor gym, Dr Snell advises doing workouts outdoors. You need to exercise anyway, so why not maximise the health benefits by doing so in nature? Have a pet if possible. Dr Lawson says the relationships we form with animals can lead to increased physical activity, such as dog-walking, and positive feelings of connections with another being. Display images of nature at home and at work. These might be photos or artworks of places you’ve been to or places you’d like to visit in the future – like a bucket list of green places that will motivate you every day. Rachel Fetherston is the co-founder and publications manager of Australia's first nature engagement charity, Remember the Wild. She is also a freelance writer and is currently undertaking a PhD in literary studies and social science.